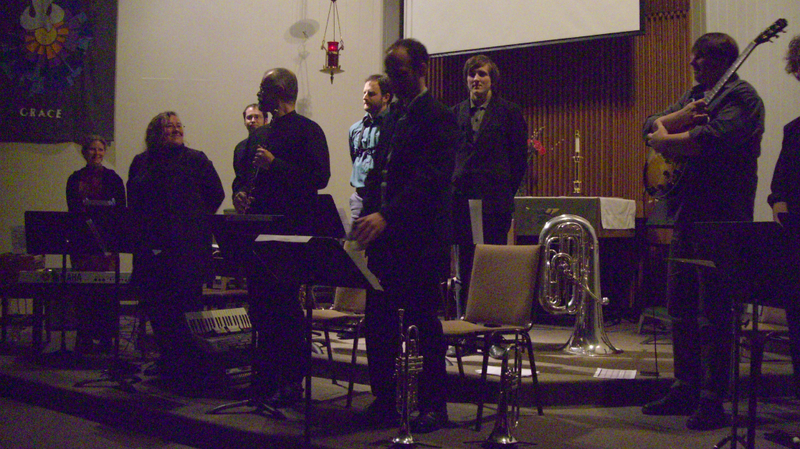 REMOVING THE DEMON (February 2009) was presented as part of the Victoria Symphony New Currents Festival and was a celebration of sonic spirit in works by three of the century’s most influential composers performed by a 10-piece ensemble. The three composers chosen for the program, one working in the United States, one in Western Canada and one in England, each have a Victoria connection, and each had a significant impact on the contexts and practices of new music in BC and beyond. The Program’s compositions were conceived in the early 1970s, a fertile time when musical philosophy and practice was questioned, renewed and reframed. As a group of musicians grounded in global and historical principles of improvisation, we value the way that playing the music of others stretches our own compositional and collaborative processes. Each in its own way, these three works invite personal reflection and connection to something Pauline Oliveros calls sonic energy, that others might call grace.